a reply to: PRSpinster Well I used to deal in tarot cards and psychic readings. So when I get a feeling to start writing down things that come in to my mind I do so. Obviously I know what it potentially sounds like but what I said was not meant to be taken in such a way as for anyone to gain the idea that something was being planned. I was watching the news and they were doing a segment on the Manchester bombings and my spirit I guess told to write things down because there are some very symbolic/ritualistic things going on. I mean "Dangerous woman" tour? Come on. Its all in plain site. Be careful with that stuff, man. This thread is public and it doesn't take a rocket scientist to figure out what you're saying. My apologies, but I have no idea what your referring to. I'm not very savvy in this way. If you could please explain what 22 means if what you said is about that? Would you be referring to something else ???? meaning military officers when off duty back in their homeland...whats so hard to understand? My thoughts on the two leaked photos were to give the U.S. and the U.K. distance in the investigation. Prime Minister Theresa May raised British concerns with Trump at a NATO summit in Brussels, telling him intelligence shared between their two countries had to remain secure, in a rare public show of dissatisfaction with Britain's closest security ally. The same tactics used in similar events in the US are being seen in the UK. Putting distance in the public eye has a way of not conflating the similarities. Again all IMO. 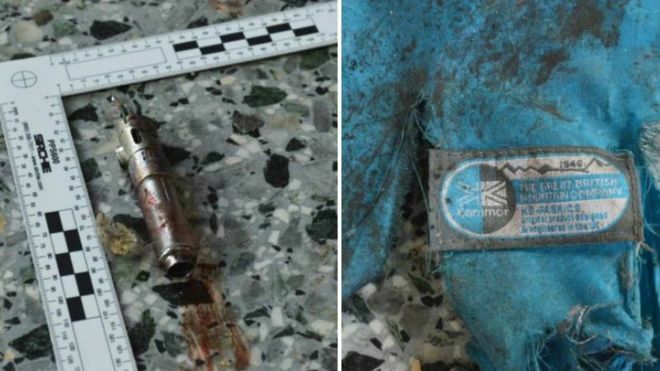 There have been 11 arrests in the past week in relation to this "ring" and they are reporting that they are following the bomb-makers path.